This high quality hinged knee cap offers controlled compression and rigidity of splint along with normal flexion and free movement. 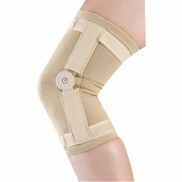 This knee cap is usually recommended by orthopedics to control painful knee movement in arthritis, sprain and strain. Wearing this knee cap aids in controlling compression and rigidity of splint and it ensures normal flexion and free movement. Currently available on dawaai.pk, online pharmacy in Pakistan, with the lowest prices and free delivery (terms & conditions apply). 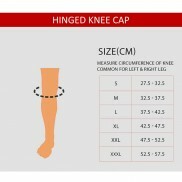 Offering Smart Flamingo Hinged Knee Cap – 2023 with fast shipping in Karachi, Lahore, Islamabad, Quetta, Peshawar, Rawalpindi and many other cities of Pakistan.